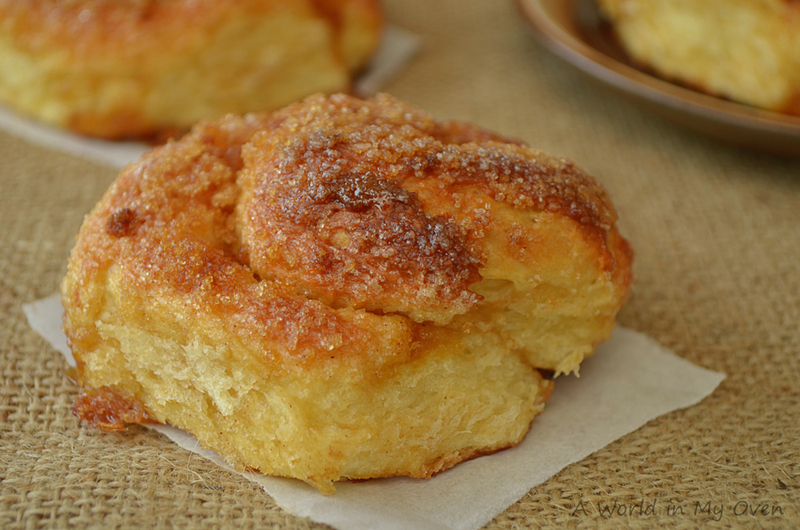 Bolussen are a traditional Dutch swirled sugar-bun similar to monkeybread, sticky buns, skillingsboller and cinnamon roll. There are different kinds of bolussen available in The Netherlands depending on the region you are in. Zeeuwse bolussen, from the south, are by far the most known. Every year there's a contest for the 'Best Zeeuwse Bolusbaker' to keep the tradition! The Zeeuwse bolussen are very dark, relatively flat swirls of dough coated in sticky sugar. My bolussen resemble them, but are by far not as darkly coated and are a bit more '3D'. Bolussen are a dying-and-reappearing tradition. For years it was only available in some regions of the Netherlands or in (specialty) bakeries. A great deal of Holland has never even heard of bolussen! However, over the recent years it's been popping up in supermarkets. Bolussen are eaten for breakfast or lunch as a treat. Occasionally they're cut in chunks and served with tea. 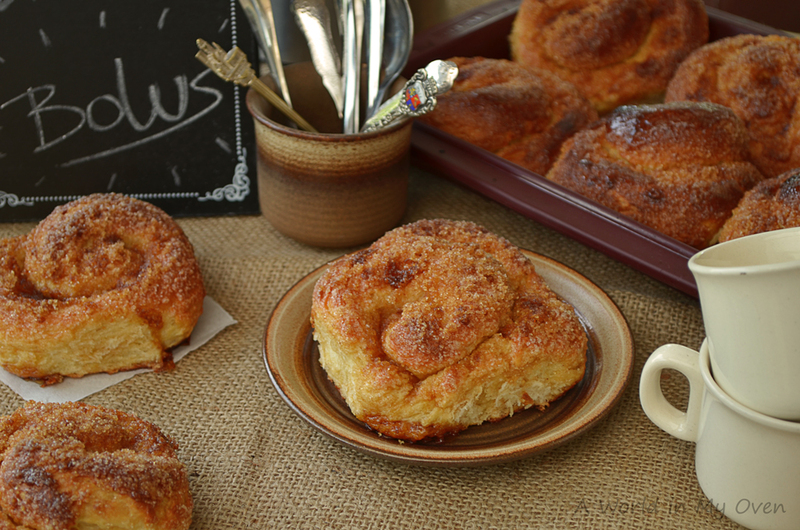 Bolussen are usually served cold with butter, but warm buns make a delicious sunday morning treat! 2. Melt the butter in a small pan. Leave to cool slightly, before adding the milk and egg. Don't add the egg if the butter is still too hot! 3. Mix the wet and the dry ingredients and form a soft and moist dough. Leave the dough to rise for about 2 hours or until doubled in size. 4. Mix the dark brown sugar with the cinnamon on a plate. 5. Cut the dough into 8-16 equal pieces. Larger bolussen (or fewer pieces) are usually eaten for breakfast or lunch -especially on sundays-, while smaller bolussen can be served with tea. 6. Take a piece of dough and roll into a long cylinder of about a finger's thickness. Roll it into the cinnamon-sugar on the plate - make sure to completely coat the dough! Take one end of the sugar-coated cylinder and twirl the rest of the dough around this 'centre-point' until you get a tightly packed swirl. Tuck the last end under the swirl and place the bunn on a buttered or lined baking tin. Repeat this step until all pieces of dough are swirled and packed together on the tin. Allow some space between the buns for them to rise! 7. Leave the buns to rise for another 30 minutes to an hour until doubled in size. Cover the buns with any leftover sugar to ensure everything is completely coated with sugar. 8. Preheat the oven to 200 degrees Celsius or 400 degrees Fahrenheit. Bake the buns in a preheated oven for 12-15 minutes. Keep an eye on the buns during the last few minutes - the sugar may caramelize and burn burn quickly! Take them out immediately if they do show signs of burning. Leave the buns to cool a bit before serving. * Alternatively you can put the first set of ingredients in a bread baking machine on the "Dough"-setting. Sometimes dried fruits, in particular dried ginger, are added to the bolussen. Some bakeries use a lighter brown sugar, rather than the dark brown 'basterdsuiker'. Basterdsuiker is a typical Dutch sugar and is difficult to get in other countries, though it is relatively easy to substitute. Basterdsuiker is a very fine white sugar made from beets to which molasses and caramel are added. The result is a very fine, slightly 'wet' sugar. Basterdsuiker comes in white, light and dark options. The dark brown sugar is used most often for bolussen. The American dark brown (cane) sugar should yield similar results. Look for a moist, flavourful sugar! Regular caster sugar will do in a pinch as well - you'll just be missing out on the rich flavour of dark sugar and the end-result will be less sticky-gooey. This traditionally Dutch treat most likely has it's origins in Spain or Portugal. The word bolus may derive from the Spanish word 'bollo' (bun). It is possible that Spanish soldiers brought similar buns to Holland during the Dutch War of Independance from the Spanish. It is also possible that the Spanish Jews brought the bolus to Holland when they left Spain rather than convert to christianity on order of the Spanish Inquisition. Similar buns have been popping up in Jewish communities worldwide, so it sounds plausible that the Jews were involved in at least spreading the popularity of the bun. ...join the chat and leave a comment below (like - Would you enjoy this for breakfast? Or rather with tea?). 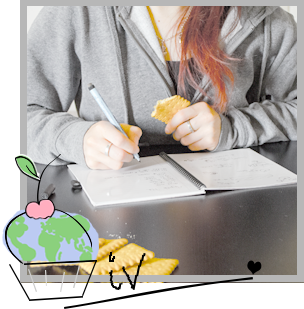 Follow me on Facebook or Twitter and/or come back soon for a new recipe!